Former Bharatiya Janata Party (BJP) leader Navjot Singh Sidhu, who had recently floated a new party named 'Aawaaz-e-Punjab', on 21 September described his party as a forum and not a political party. In a statement released to the press, Sidhu said that he did not want to play a "spoilsport" and his party will not contest the upcoming Punjab elections. "We shall not play a spoilsport and instead facilitate the Punjab election. Aawaaze Punjab forum welcomes any alliance for the betterment of Punjab and will not be a political party," Sidhu stated. 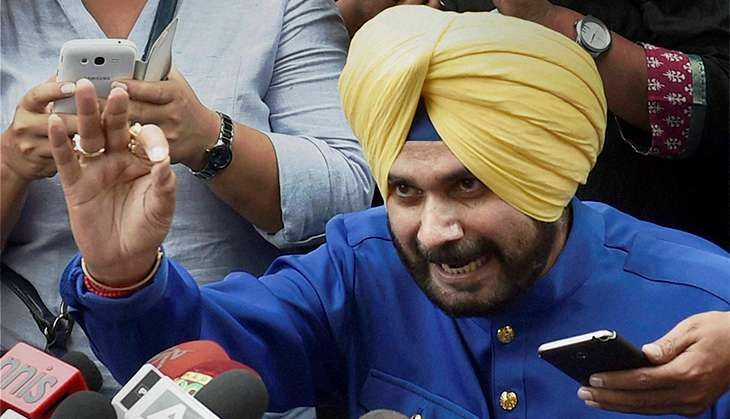 Asserting that they will not divide the anti-incumbency vote bank, Sidhu hinted that three months was a very short time for any party to be able to win an election. "The past is the best prophet to predict the future. The minimum time taken by a new party to win a state is almost two years, ample testimony to the fact that three months is too short a time for this herculean task," the press release said. He further said that there was no political vendetta behind this move but only a burning desire to reinforce the positive forces in Punjab. Navjot Singh Sidhu, who had earlier alleged that BJP asked him to stay away from Punjab, formally gave up his BJP membership along with his wife, Navjot Kaur Sidhu on 14 September. Sidhu formally launched his political party, the Awaaz-e-Punjab, in Chandigarh on 8 September. He had earlier said that the party will contest the Punjab Assembly election next year. The slogan of Sidhu's party reads: 'Punjab, Punjabiyat and Punjabis will win'.